As the Senior Portfolio Manager, Eric leverages his passion and experience investing in the global financial markets to manage diversified, multi-asset portfolios to help our clients pursue their financial goals. He leads the firm's Investment Committee to determine investment strategy, drive research and construct portfolios with a keen focus on managing risk on behalf of our clients. Eric is a firm believer in financial education and leads a number of initiatives to enhance the knowledge of our clients on the ever increasing complexity of investing in the financial markets. Prior to joining Freedom Wealth Alliance in 2016, Eric was a Vice President and Senior Portfolio Analyst at Robert W. Baird & Company. In this role, he assisted in the portfolio management of the firm's discretionary, multi-asset portfolios and performed the due diligence on investment managers across a variety of asset classes and alternative strategies. 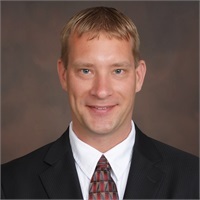 Eric received his Bachelor of Business Administration degree from the University of Wisconsin - Madison and his Masters of Business Administration degree with a specialization in Finance from Marquette University, where he graduated with honors. Eric is a CFA Charterholder and holds his Series 7 registration through LPL Financial and 66 registration through Freedom Wealth Alliance. Eric was raised and currently resides in Southeastern Wisconsin with his family. He and his wife are very involved in the many activities of their three young children. To try and balance out his analytical side, Eric enjoys embracing and enhancing his creativity through songwriting. His Favorite Quote: "Love your neighbor as yourself" Jesus Christ.